Takeaki Maruyama aka Goth-Trad is a spearhead among producers worldwide who have taken the sounds of the UK underground and mutated them into new forms – or, in this case, into New Epoch. However, for Maruyama-san it’s never been about trying to replicate the UK sound as he acknowledged in a 2008 interview, “Looking at good Dubstep producers, I don’t think they are trying to make Dubstep. They are already looking beyond this, and trying to make something new. They are thinking on another level. That’s the fun part!” And fun is something he knows all about. Emerging from a vibrant underground Japanese electronic scene, Maruyama-san has developed into one of the most outstanding artists of his generation. His unique “fun” style involves freely playing samplers, keyboards and even self-made instruments – this approach brought him the nickname “the Sound Originator.” His sound comprises a broad palette of influences from Abstract Electronica to Noise, from Dub and Reggae to Jungle, from Rave and Grime to Punk, and almost every form of music somehow is absorbed into his black hole-like approach, emerging from a trans-warp conduit on the other side as something uniquely Goth-Trad. Maruyama-san has simply always been experimenting and developing his own sound palette. This truly unique, abstract approach has earned him a place at the forefront of dance music in Tokyo – quite a feat in of itself since Tokyo has one of the most complex and engaging scenes for electronic music in the world. With a strong back catalogue of albums and touring beneath his belt the buzz for his music has slowly spread further and further around the world, New Epoch is certain to bring the bass mutations of this Tokyoite even further. Maruyama-san first started producing music in 1998 and by 2001, he was ready for a breakthrough. It came when he formed the band Rebel Familia with the much-respected Dub Reggae bass player Takeshi ‘Heavy’ Akimoto of Dry & Heavy, a legendary Japanese act. By 2003, he had released his first solo album Goth Trad 1, which led to his debut European tour the same year and an opening slot for respected indie rock act The Mars Volta the following year. Maruyama-san says of this period, “Before Dubstep I was making experimental beats or almost kind of ambient.” His second album The Inverted Perspective in 2005 shifted the focus to the live improvisational style that he continues to develop and refine to this day. Looking back, he describes the record as “almost a noise experiment.” This was swiftly followed by a third album Mad Ravers Dance Floor, which was his first move towards the kind of dance music he makes today. He recalled what inspired him at the moment in an interview with Knowledge magazine – “When I found Grime music I heard Morgue by Wiley. It’s very deep and like down-tempo Hip-Hop but has more bass. Maybe we could call that Dubstep but back then it was called Grime. The first image was ‘deep’. The music totally fit some vision in my head. I felt something from that music.” Mad Ravers Dance Floor opened European ears to his sound even more – especially when the Grime-inspired single Back to Chill was picked up by UK label Skud beats, catching the attention of the expanding bass music scene in the UK. By the end of 2006 Goth-Trad also started own night in Japan named after the single and he embarked on his fourth European tour that provided a pivotal breakthrough moment in his career thanks to a timely meeting at the London club FWD>> with Dubstep pioneer Mala from Digital Mystikz. Mala signed the single Cut End / Flags to his own DEEP MEDi Musik imprint and subsequently those cuts garnered noise from a strong core of supporters including artists like The Bug, Kode 9, Coki, Skream and Mary Ann Hobbs. A new era had started for Maruyama-san: after four European tours, three solo albums and countless other work he was embraced by the growing bass music scene as a force to be reckoned with. In due course this led to continued engagements for his music. By 2007 he played the legendary DMZ event for the first time and was the opening DJ for Skream, Kode9 and The Bug on Japanese dates. Not one to stop moving, he also continued his work with the band Rebel Familia, releasing an album that featured collaborations with Punky Reggae legend Arie Up and reggae godfather Max Romeo. This project tethered him to dub more and his love of deeper dub-based sounds remains a constant in his music to this day. His relationship with Romeo also continued with the Lee Perry-associated singer making an appearance on the club smasher single Babylon Fall released this past September on DEEP MEDi Musik and also featured on New Epoch. Romeo’s mystic voice lends itself well to the spirit-laden music of Goth-Trad. Unlike the Shinto mountain and forest spirits of old though Maruyama-san’s music is firmly routed around the spirits of his city. His is the music of dark alleyways in Shinjinku on a cold wet night, the soundtrack to the underbelly of a sprawling modern metropolis on the edge, a noir Tokyo first seen in the post-war films of Japanese New Wave directors in the early 60s and the films of the Art Theatre Guild. It is Western-influenced yet uniquely Japanese. In the Art Theatre Guild film Eros Massacre we see the story of a Japanese anarchist revealed as sword fights take place on a Tokyo highway shot in beautiful captivating widescreen black and white. It’s this kind of contradiction that we hear in Goth-Trad – sounds we think we know mutated into new shapes and forms. The sound of Goth-Trad cuts through the humdrum of copycats. 2007 ended for Goth-Trad with more European dates across eight countries, this time with both live and DJ performances. The following year he continued to build his reputation with three releases – Far East Assassin for Skud Beats, Genesis for Soul Jazz Records and Law for DEEP MEDi Musik, the imprint that was quickly becoming Goth-Trad’s home. 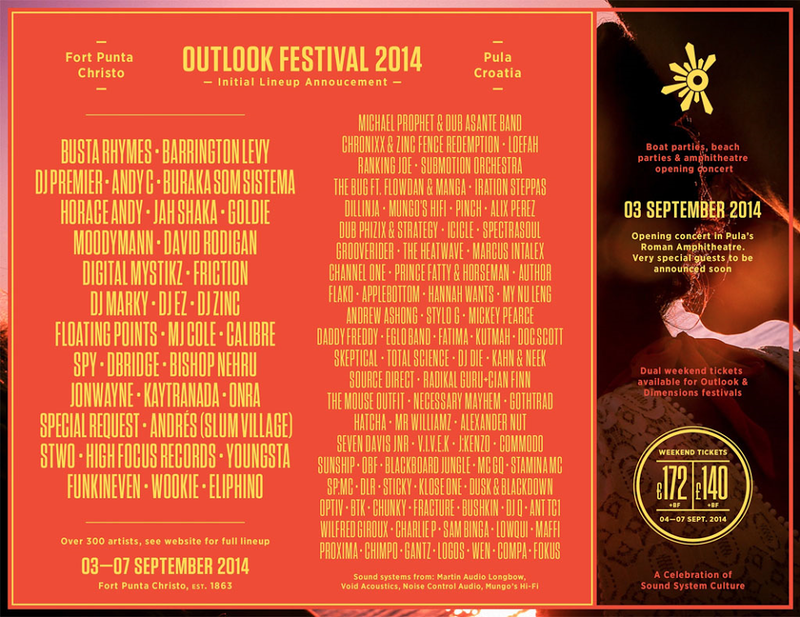 In 2009 he became an in-demand remixer with remixes for both Skream and Distance. Two more heavyweight singles for DEEP MEDi Musik Dark Path and Sunbeam also followed. After that came same lab time leading up to his most assured sounding album to date. 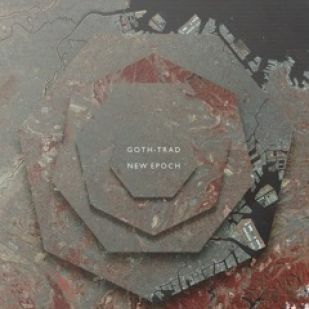 New Epoch is by far and away Goth-Trad’s most complete piece of work to date, showcasing what he is has learnt in his years of producing, touring, playing live and remixing. The album features eleven superbly and delicately crafted tracks. From the opener Man In the Maze full of beautifully dark, emotional strings and pulsating, mesmerizing groove to the intense synthesizer stabs and pure dance-floor mayhem of the Mirage – one of the strongest tracks that has been firing in heavy rotations from Mala and Kode9 – to the title track New Epoch which defines a producer digging through different styles, experiences and cultures to find himself now one of the most unique artists within the scene and beyond. We’ll leave the final words to Goth-Trad himself (as told in September to Low End Theory), “To be honest with you I’m not listening to Dubstep that much, the whole reason I got into making Dubstep is because it’s free. You can do anything with it. Take it all sorts of directions…. I’m always looking for more directions and styles within my work, but I’m not really thinking I’m doing Dubstep. I’m just doing my sound. 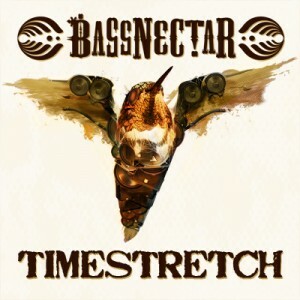 I’ve been doing this style of music for almost ten years and I just say all this music is bass music. I’m putting a lot of variety into the new album. Some tunes are very techie, some tunes are much more experimental, a bit glitchy. There may be some more banging stuff. I’ve lots of ideas to keep moving with.” New Epoch indeed! Onward marches the one-man army known as Goth-Trad. It’s been a long time coming but finally Deep Medi are proud to present, Japan’s biggest Dubstep export V’s arguably one of Jamaica’s all-time biggest stars Max Romeo to bring you ‘Babylon Fall’. This is Goth-Trad’s latest release and last before his album expected November 2011. 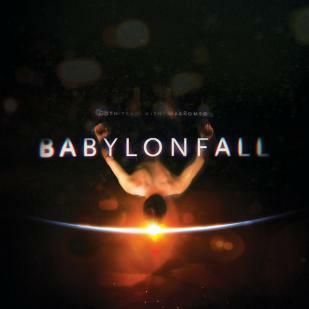 The EP leads with ‘Babylon Fall’ featuring Max Romeo. Max Romeo is best known for his album ‘War In A Babylon” produced by Lee Scratch Perry at the Black Art Studios featuring classics, ‘One Step Forward’, ‘War In A Babylon’ and the Reggae anthem ‘Chase the Devil’. Goth-Trad lays down a trademark bass heavy, rumbling rhythm with Max Romeo still showing after all these years that his vocal is still standing strong and lyrical content bringing positive vibes in these troubled times. 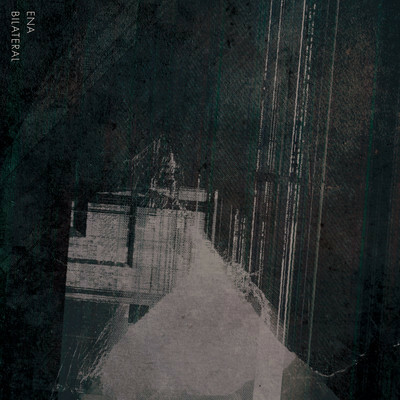 ‘Falling Leaf’ and ‘Sublimation’ see Goth-Trad in a deep techno mood. ‘Falling Leaf’ is a relentless barrage of sub bass and industrial dub mechanics whilst Sublimation is more stealth like with its late night inner city running’s, think Japan via Detroit touching down in the UK. With ‘Itinerant Priest’ we have saved the biggest dance-floor destruction till last, from the opening chimes, organ drone and intense rave stabs through to the fierce pulsating bass you know this has got pure, unadulterated mayhem written all over it.